Remembering how to spend spring after a biting winter. Begin by leaving your winter coats behind and looking outside the window: the trees are turning green again, and the weather has gone from freezing and cold to sunny and warm. Spring is in full swing, but it's easy to have forgotten exactly what to do after months of blankets and Netflix inside. But just look outside as the sun shines upon the new growing flowers and prepare to wander the Parisian streets as you realize on all the activities which lie within every corner of the French capital. Walk, strut, jog, run, bike, be outside, smell the flowers, and bring your camera. The winter clouds have disappeared and Paris is being absorbed by rays of light. The grass is getting greener and people are beginning to sit in every green corner of the city. Green spaces are now being filled with friends and families as the fashion of picnics has come back. 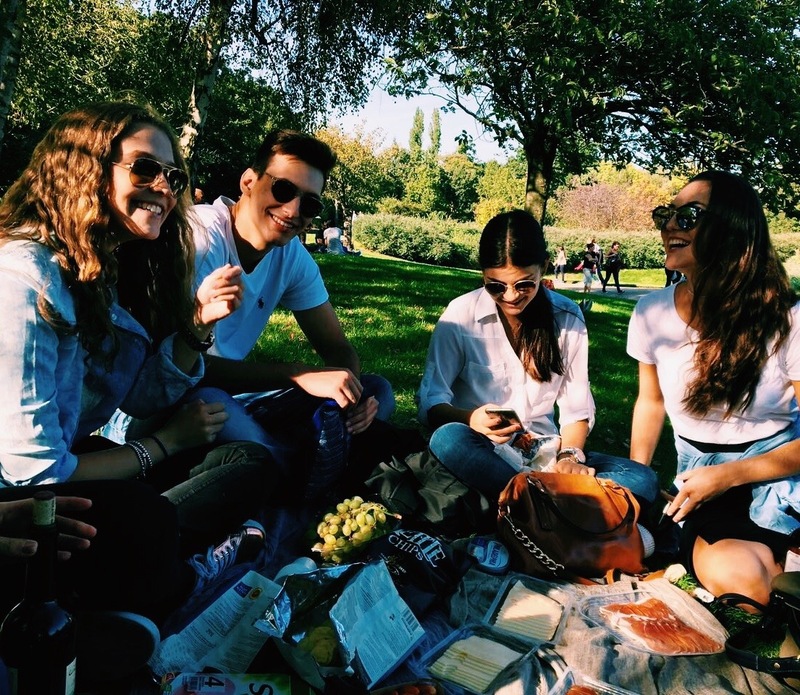 Enjoy the sun by taking a bike ride along the canal to destinations such as the Parc Floral de Paris and La Villette, or stay closer to the city as the flowers in the Jardin du Luxembourg will set the scene for a special afternoon accompanied by wine, cheese and treats. If you find yourself in Western Paris, head towards the Bois de Boulogne, one of Paris’ largest parks. The bois offer various activities such as boating within or trekking around the Lac Inférieur. If you're feeling adventurous and sporty, hiddspn deep inside Parc des Butte Chaumont is a small mountain which allows a beautiful view of the waterfalls, bridges, plants and overall ambiance of the park. At the top, you will encounter the Temple of Sibylle, a 19th century replica of a Roman, which adds an extra detail to the view offered from the mountain. Continue strolling along the Parisian streets, and encounter various hidden gems that can be found around the City of Lights. Located in the 20th Arrondissement, Belleville rises as a cultural neighborhood within an artistic quarter, filled with significantly lower prices and a vast variety of products being sold. With Thai, Vietnamese, Chinese and French restaurants, the unique experience of cultural mixing found in everything from food to art dominates this upcoming hangout. Catch the graffiti around Rue Denovez, or simply encounter various ateliers by walking around the neighborhood. Additionally, the Père Lachaise, the largest cemetery in Paris, lies directly adjacent to Belleville, where Oscar Wilde, Jim Morrison and other recognized entertainers, writers and composers lie. Hungry for more food and art? An urban safari of graffiti walls can be found in the 10th arrondissement at the Canal St. Martin. 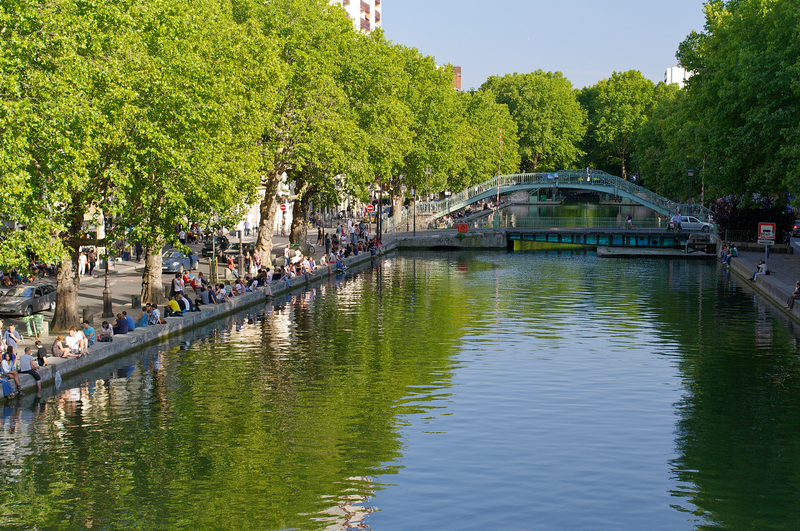 An up-and-coming area in Paris, the area around the canal is filled with interesting and amusing graffiti, delicious cafes and restaurants, and more small artisan shops. Tired of walking and biking? How about flying? Try a new areal view of the city located in the heart of Paris! Ballon Air de Paris is an air balloon which rises to an altitude of 150 meters (approximately 492 feet), attached to the ground by a cable. The balloon also changes its color depending on the quality of air and the pollution levels within the city, providing you with some extra information during the ride. It’s located in the Parc Andre Citroën and opens daily at 9 AM until 30 minutes prior to the park's (seasonally changing) closing. The entry fee for adults is 12 euros. 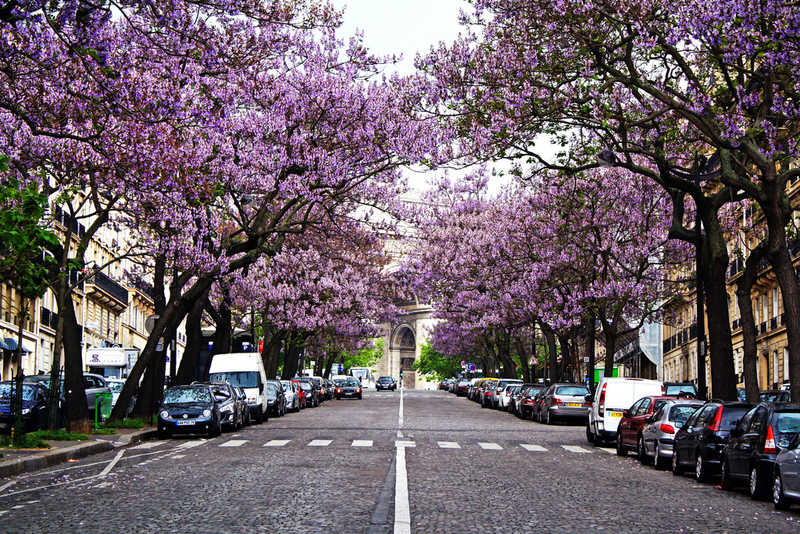 Spring in Paris is filled with various events, fairs, festivals and more! 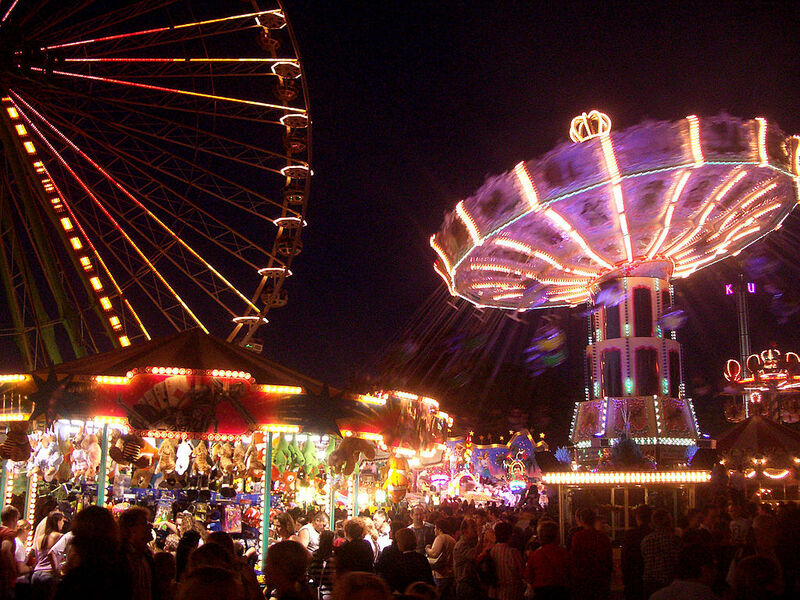 Spend a day at what is considered to be Europe’s biggest fair, the Foire du Trône! The fair takes place on the Pelouse de Reuilly from Friday, March 31 to Sunday, May 28, 2017. Test new attractions, enjoy plenty of surprises and simply have fun in this thrilling funfair! Interested in theater, dance, circus arts, exhibitions, music and contemporary art, but have no time to experience it all? Coming back to La Villete, from Tuesday, March 21, to, Sunday, April 9, 2017, 100%, is a condensed festival that occupies 100% of the space within La Villette. On the other hand, from Tuesday, April 4, to, Sunday, April 9, 2017, Disney on Ice, will return with its “La Reine des Neiges” (The Snow Queen) at the Zénith Paris. And also, from Thursday, March 30, to, Sunday, April 2, 2017, Art Paris Art Fair, the springtime discovery fair which focuses on exploring international post war to present day European art and international creations, will bring 140 galleries from 20 countries to the Grand Palais. If your not a fan of the sun and your constantly seeking shade, and cool air, how about looking for intriguing and interesting, yet different endroits? Enter the curious underground history of the Paris Sewer System. Walk through tunnels and explore the history of what lies beneath your feet. They say the Parisian sewers reflect a mirroring image to the streets above. Still interested in what lies underneath the City of Lights? How about talking a stroll around a creepy yet mysterious labyrinth surrounded by the body remains of nearly six million Parisians. The Catacombs of Paris, is the house to carefully and specifically arranged skulls and bones, a different image of the history the French Capital holds. Exhausted and seeking for a little break from the city? There are various day trips just one hour away from Paris, where explore the surroundings of the French Capital without the need of searching for overnight accommodation. Stunning historic châteaus such as Louis XIV's Château de Versailles, or the residence of his finance minister Nicolas Fouquet’s Château Vaux Le Vicomte portray stunning architecture and tons of French history within their walls. Or if Monet and Van Gogh are more your speed, then Giverny, where Claude Monet’s spent his time harvesting inspiration and Auvers-sur-Oise, where Vincent Van Gogh’s painted most of his well-known works, are excellent destinations. You may compare their works of art to the locations today and walk around imagining what might have excited them to generate their magnificent art. By studying in Paris and constantly focusing on work and other responsibilities, we often forget about all the amusing and curious locations, events, and plans that lie across the city. Take some time to explore your surroundings! Allow yourself to indulge in every corner within the City of Light, and enjoy every hidden gem that you encounter.